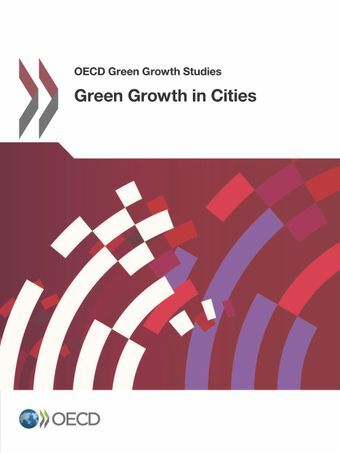 This report synthesises the findings from six case studies of urban green growth policies, four at city level (Paris, Chicago, Stockholm, Kitakyushu) and two at the national level (China, Korea). It offers a definition of urban green growth and a framework for analysing how it might play out in different types of cities. It demonstrates the importance of urban policies for achieving national environmental policy goals and discusses the increased efficiency of policy intervention at the urban level. It identifies urban activities to reduce environmental impact that are most likely to contribute to the policy priorities of job creation, urban attractiveness, metro-regional supply of green products and services, and increased urban land values. It also provides guidance on addressing potential financing and governance challenges that may arise in pursuing urban green growth. Finally, the report offers a preliminary proposal for how green growth in cities could be measured. What is green growth in cities? Why are cities important to national green growth strategies? What are the high-priority green growth policies for cities? How should urban green growth governance and financing challenges be addressed?